For a frequent traveller who likes the best things in life, Hans Kniebes offers a perfect mens grooming kit to help him look sharp when it matters the most. 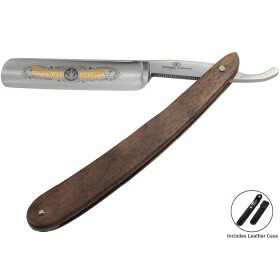 Classic leather case with clean, distinctive lines includes top end grooming gear for men's essential care. 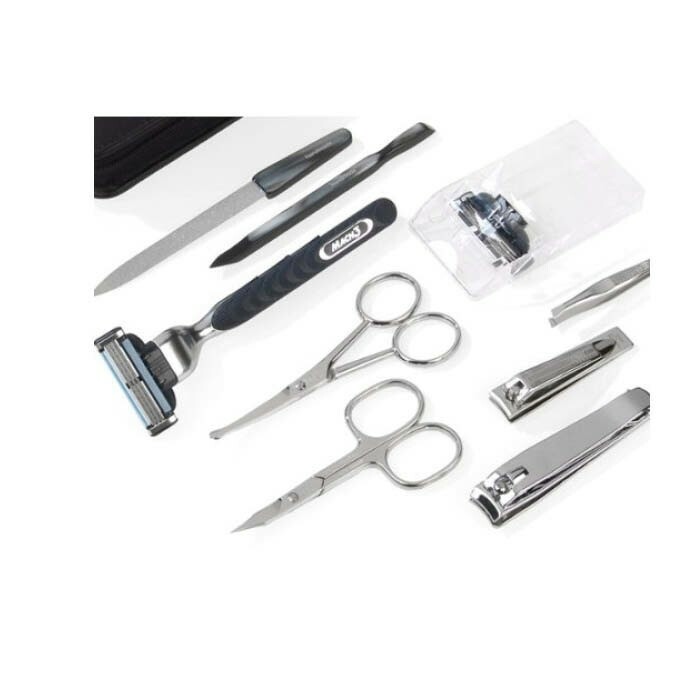 Complete with highly popular Gillette Mach 3 razor and ultimate German tools for nails and facial hair, the set makes a perfect gift for a man on the go or anyone who appreciates the highest quality in their grooming kit. 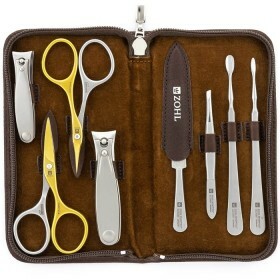 Hans Kniebes mens grooming kit is expertly crafted in Germany and makes the ultimate luxury gift for a man of executive style. 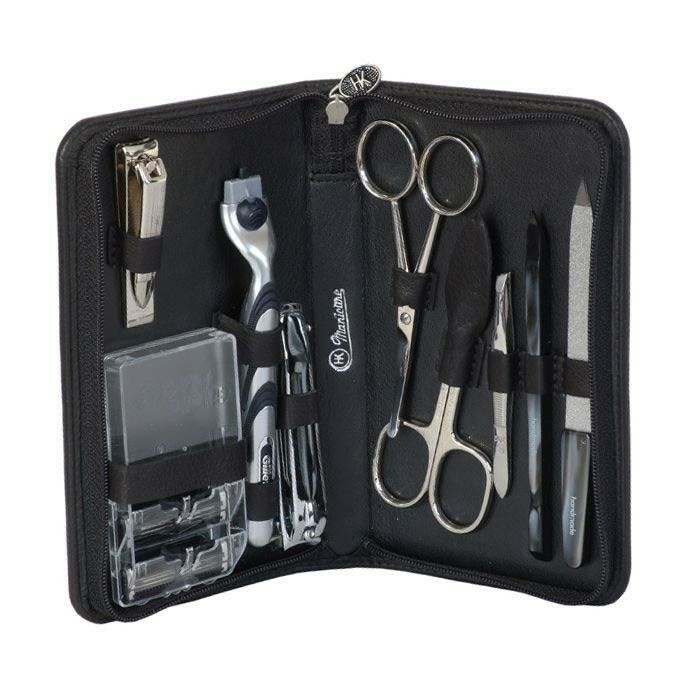 It's one of a kind rare set with the finest men's grooming tools in a classy black leather case, that make his personal care convenient and entirely hassle-free. 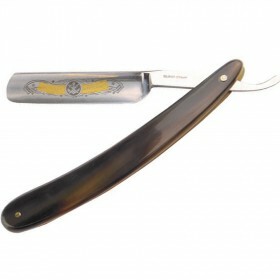 Included are the best in class Solingen nail instruments individually sharpened by hand and designed to cut strong men's nails with incredible ease. 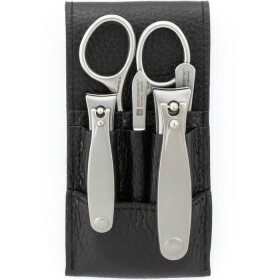 They are made of special steel with nickel coating for rust resistance and feature a shiny finish. 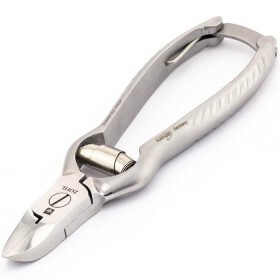 The cutting edge stays sharp for a very long time so you don't need to worry about replacing or re-sharpening them for many years. 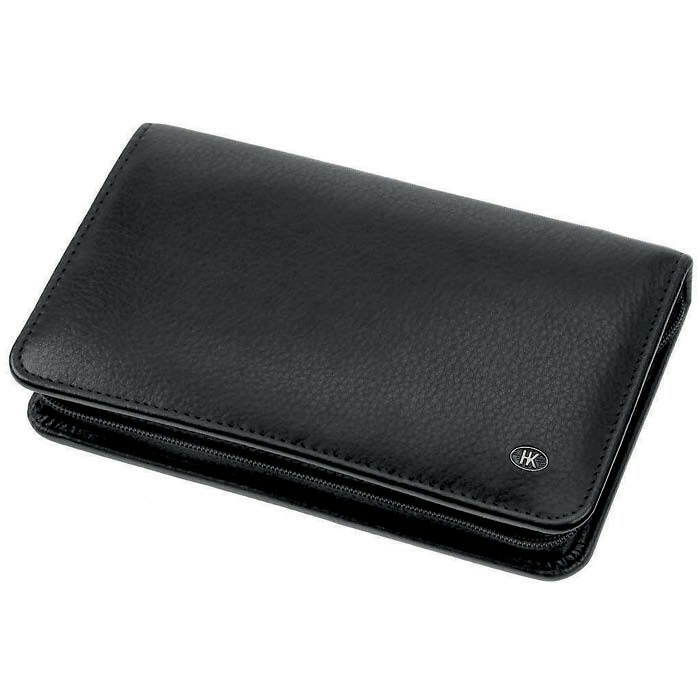 Black leather case is made of premium cowhide and has a truly masculine character that highlights the premium quality of the instruments inside. 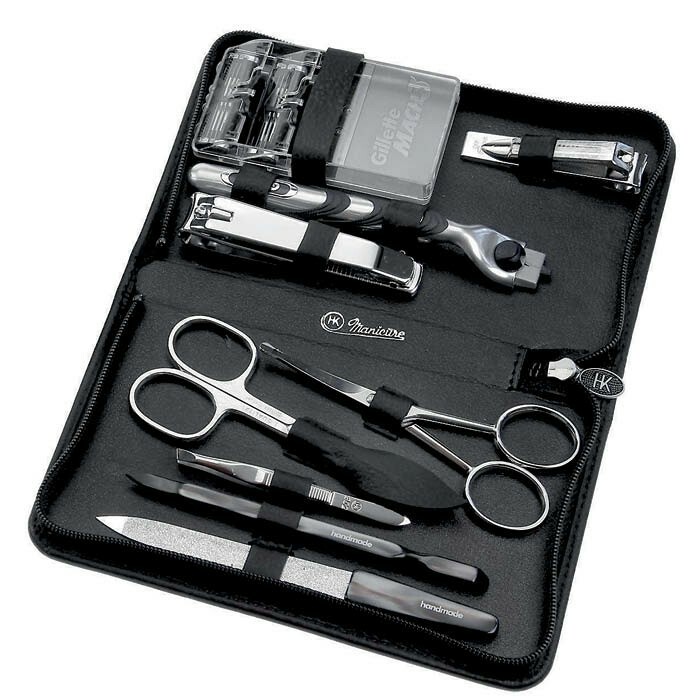 Give it as a gift to someone who is often on the go and help them look their best with the top men's grooming tools at their fingertips.